Established in 1990, Shanghai Country Club maintains the first international standard 18-hole 72-par golf course in Shanghai. Designed by famous American golf course designer Robert Trent Jones, Jr., the course totals 7,025 yards. The course is located next to the Dianshan Lake and features excellent scenery as well as challenging holes. 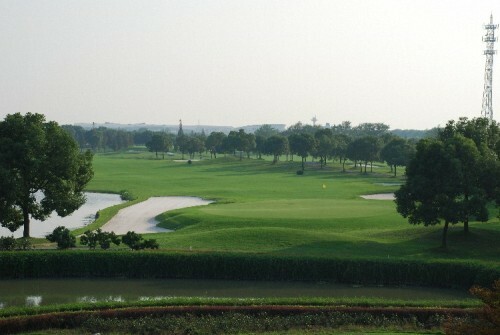 Its water hazards, numerous lakes and competitive fairways make it one of the most challenging golf courses in Shanghai. The club also has 3 practice holes, a spacious driving range, and a putting green. In addition, the club provides professional coaches for on-demand lessons. The property features a 19th century British colonial-style clubhouse designed by P&T Architects and Engineers Ltd. The club also has a wide range of facilities including pro-shop, tennis courts and an indoor swimming pool.